A pair of Blue-eyed Shags or Imperial Shags in their nest, on a rocky wall. They have s blue ring around the eye, not a blue iris. 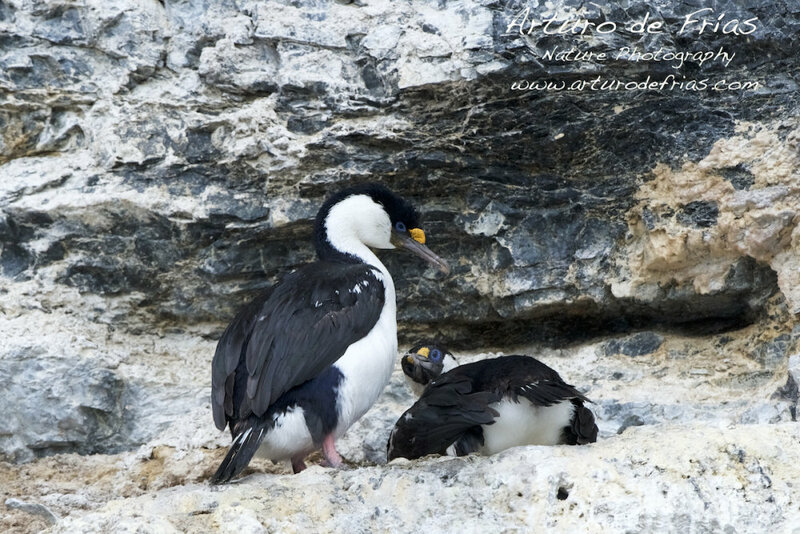 Una pareja de Cormoranes Imperiales en su nido. No tienen el iris azul, sino una especie de anillo azul que rodea su ojo.